It's very hard to find good balanced diet for rats. 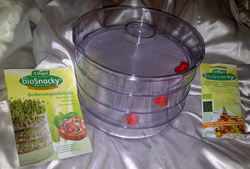 A lot of the pet stores do not carry foods that are best for rats. You'll notice when browsing that most of them will label it as "Rodent Food" and have a picture of everything BUT a rat on it. Avoid foods where the first ingredient is corn. Corn has corn has little nutritional value, (for rats OR people). Here are the lists of what my rats get. Some of these have taken me a long time to find farmers and suppliers that will sell these. If you would like to feed what I do, but don't have the means or want to source suppliers, I do sell my food etc. * I personally do not think feeding solely lab blocks or Oxbow is best. 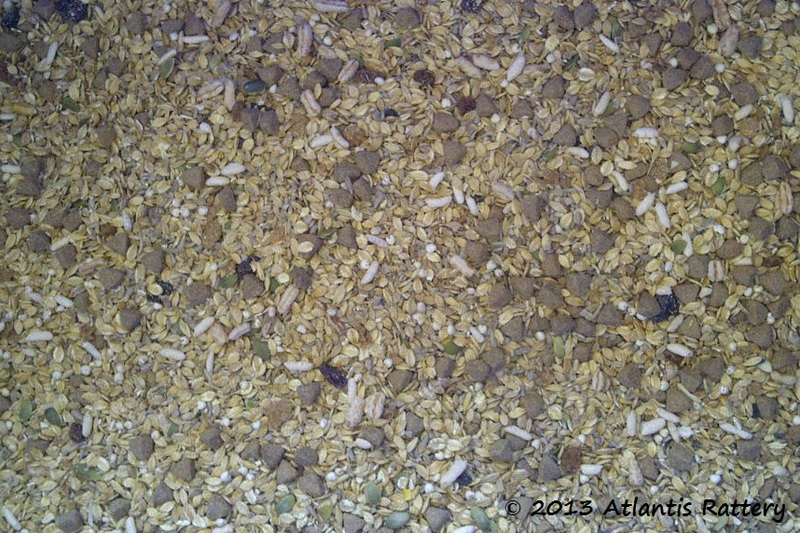 I have had better success with this mix and have researched with many different breeders in the US who feed diets similar to this. They have tested the lab blocks and had better longevitiy with self made mixes. This is only a personal opinion and in all theory they are a fully balanced diet and MANY recommend store bought diets. 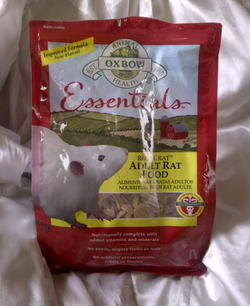 I mix this in with my main diet for my rats and do offer it just like this too. It is an immunity booster amoungst many other benefits. It includes: Garlic (granulated & flaked), Nutmeg, Milk Thistle, Oregano, Basil, Parsley, Kelp, Cinnamon, Wheat Grass, Peppermint, Cumin, Spirulina, Dill, Biotene, Thyme, Fish Oil, Wheat Germ (Oil or solid/powdered), Marshmallow Root, Dandilion, Plantain, Barley Grass, Red Clover, Oat Straw, Astragulus, Olive Leaf, Kyo-Dophilus Probiotic, Elder Berries. 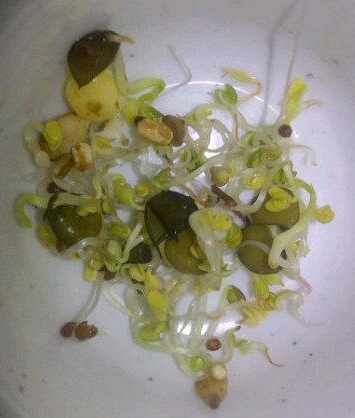 I like to sprout a mixed variety of beans, seeds & grains that are safe for rats. They LOVE them and they are a very healthy treat filled with lots of nutrients! I feed these to my guys daily. Sprouter - Must have for active sprouters! 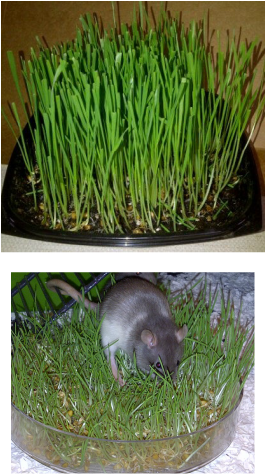 I grow wheat grass for my rats. They really enjoy this too & its very nutritious. 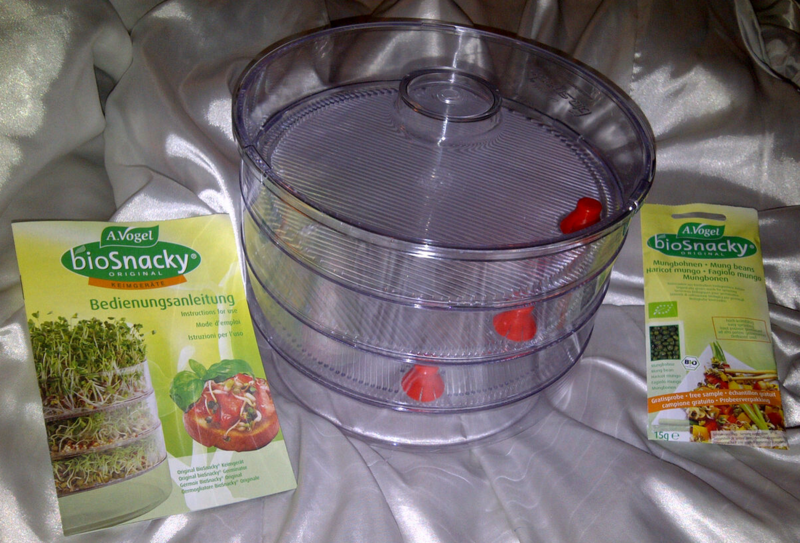 I have recently started growing wheat grass in my sprouter without dirt. It is safe to give your rats roots and all! Then you don't have to work about the mess or danger of them eating the dirt. I have recently found a supplier to get wheat grass seed from for VERY cheap! so there is no worry about additional costs of them eating the whole thing and starting new each time. Or how I used to do it: Make sure you let it grow for a couple weeks before offering it to your rats. The new seeds are too easily pulled out and your rats will kill it. Or you can just clip the grass and give it to them in a bowl. This prevents damage to the grass plot and the rats still eat it up in no time. If you do not have a green thumb, I do grow these for myself and will sell you some that is pre-grown for you to clip & use with your ratties. Confirm for availability prior to pick-up. I like to offer lots of fresh foods. I consider my rats my little garbage disposals. You'll find you barely need a green bin when you have these critters in your house. I give my rats corn cobs with the corn eaten. These don't offer much for nutrients, but they LOVE them, and they're very interactive for your rats. Get creative with what you give, I like to do the stalks of broccoli, strawberry tops, apply cores with the center seed portion removed. You can check my Safe & Not Safe food list. The following is not what I feel to be the best to feed, but I will include it to offer you some info and you can make your own decision. When picking your food read the ingredients. If it doesn't sounds good, or you don't know what most of the ingredients are... it's probably not good. Try to stay away from foods with lots of fillers. Anything "meal" is usually not great quality to feed. As well anything with a lot of corn in it (near the top of the ingredients list) isn't ideal either. Corn does not offer much nutrition for rats, or people.